The good folks at Casa Fernandez seem to be putting out one great cigar after the other, whether it's their own lines or the highly rated premium private blends they have masterfully created over the years. 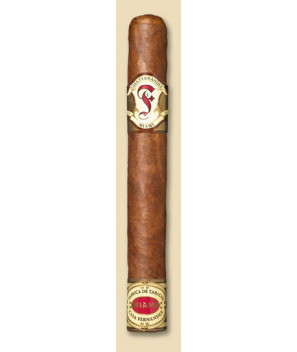 Being one of the largest growers of tobacco in Nicaragua they are very capable on creating outstanding cigars. The Casa Fernandez Miami is no exception. 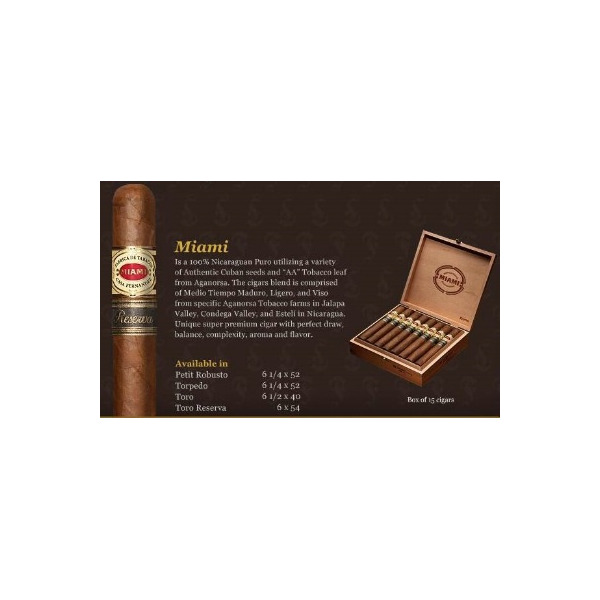 The Miami is a 100% Nicaraguan Puro, grown from Cuban seed and comprised of "AA" Aganorsa Leaf. The blend consists of Medio Tiempo Maduro, Ligero, and Viso grown from Aganorsa Tobacco farms in Jalapa Valley, Condega Valley, and Esteli. A wonderful array of flavors, complexity and balanced strength, this is some of the best Nicaragua has to offer.